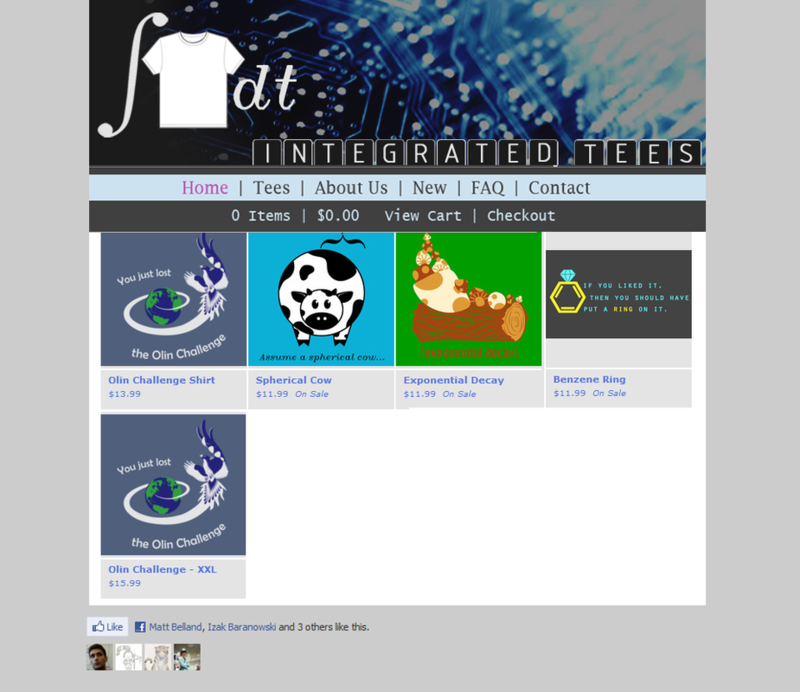 A screenshot of the front page of the website pre-launch. Our four original designs are shown. The best way to learn how to start a business is by doing it. Given three weeks, start and run a successful, profitable business. When starting a business it is important to be effectual: work with what you have rather than searching for what you don’t. Given a team of nerds with awful humor and graphic design talent, it only made sense to start a nerdy t-shirt company. We used a pre-order business model to minimize upfront costs. We marketed our four custom designs on local college campuses and through social media. Purchases were made in-person and through our website. By the end of the three weeks, we had earned a $500 profit.